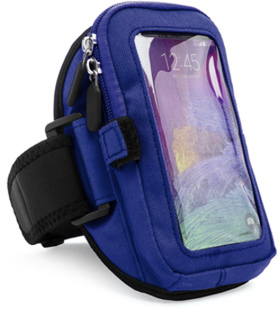 safely carrying your smart phone/mp3 device with this vangoddy neoprene armband. 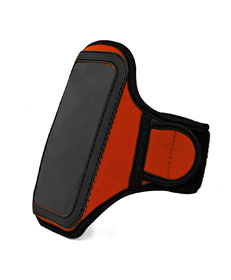 use this armband when you're working out, at the gym, jogging or running around. clear front window lets you see your device's screen so you can control your music, see who's calling you, or check the time. 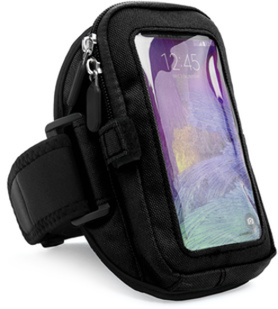 included extender velcro strap allowing the armband to fit almost any size arm. cord velcro strap allows for you to adjust your earphones cord to the perfect length and prevent annoying bounce while exercising. 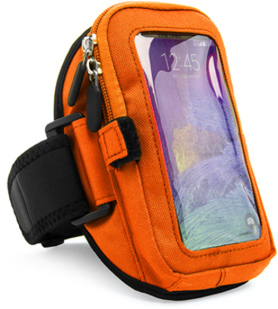 inside lined with extra layer of plastic for improved water and sweat resistance. added key pocket in the rear. 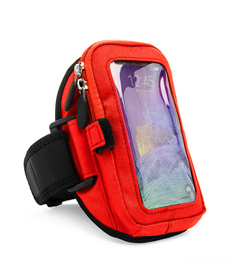 suitable for phones, mp3 players and other devices no larger than 5.25 x 2.75 x0.25 inch.